A must for anyone who lives in a farmhouse: The Terra Kids Block and Tackle hauls all the objects that are needed up above. This not only saves frequent climbing up and down but also is a whole lot of fun for little adventurers. 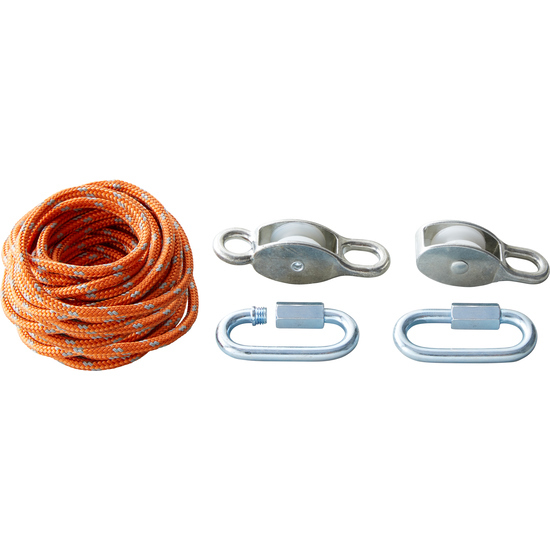 If you wish, you can also disassemble the block and tackle and use the rope elsewhere. Afterward, it can be easily re-assembled. Contents: 1 rope, 1 pulley with reverse eye, 1 pulley, 2 quick links, 1 set of directions.